Aden & Anais has quickly become one of my favorite baby brands ever. 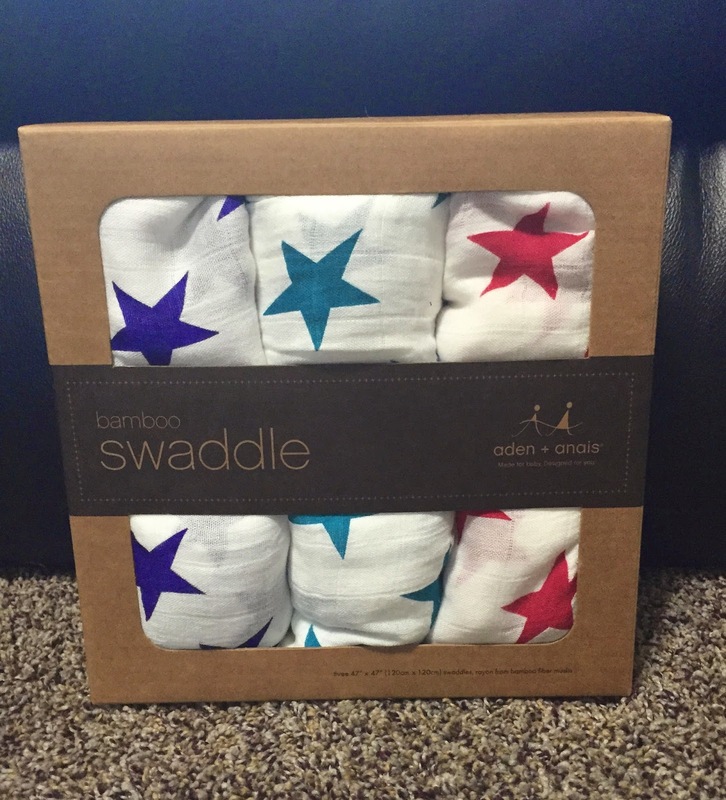 They make the softest and best blankets and each time I have a baby I fall in love with a new product of theirs. I can't recommend their products enough. They make the perfect baby shower gift! Their blankets are made of muslin, which is super thin and super soft but still keeps baby warm. They have perfect temperature regulating properties as they keep baby warm but are still breathable. So they truly make the perfect baby gift. And I am definitely not disappointed. They are just like the regular muslin blankets, BUT even softer!! I love the colorful star pattern on these blankets as well. They are the perfect gender neutral shades of teal, magenta (pink/red) and purple! The colors are so deep and perfect. The blankets are 47x47, they are perfect for swaddling, even extended swaddling as they're large. But they also work well for tummy time mats, to cover up a stroller or car seat, use as a nursing cover or even a burp cloth in a pinch. OR just to use as a regular covering blanket. We have so many uses for our Aden & Anais Muslin blankets and as my kids get older I'm sure the uses will expand as well. I love that they are machine washable though. When you have a new baby there is definitely no time to do anything special. So being able to throw these in the washer just makes them that much better. Easy to care for and less to think about. I love my blankets and Aden & Anais is ALWAYS releasing new prints and new items! Next on my list is a daydream blanket for ME!!! Price: 3 of the Bamboo are $45, but they are definitely worth it!